Ladies and gentlemen, boys and girls, prepare for a show the likes of which you’ve never seen before!! The famous Cirque du Soleil brings its wonderful touring production Corteo to Inglewood – performing its final night at The Forum on Sunday 31st March 2019!! Don’t miss out – grab your tickets today!! Founded in Quebec in 1980, Cirque du Soleil started out as a performing circus troupe. Over time, they became the pioneers of the “cirque nouveau,” movement, one that draws upon traditional circus from various countries and disposes entirely with performing animals, focusing instead on elaborate costumes, props, and set designs, fantastical storylines, and the incredible capabilities of the human body. All this is set to a lush score, written individually for every Cirque show and performed live by world-class musicians. 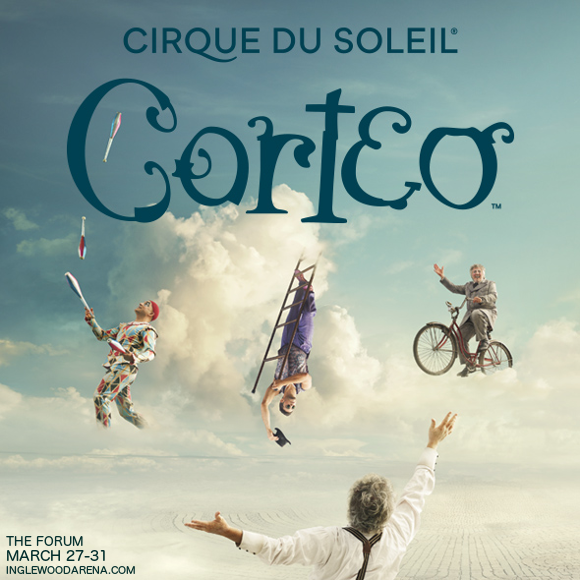 Don’t wait about – get your tickets for you, your friends and your kids, and go to see the incredible Corteo before it moves on!